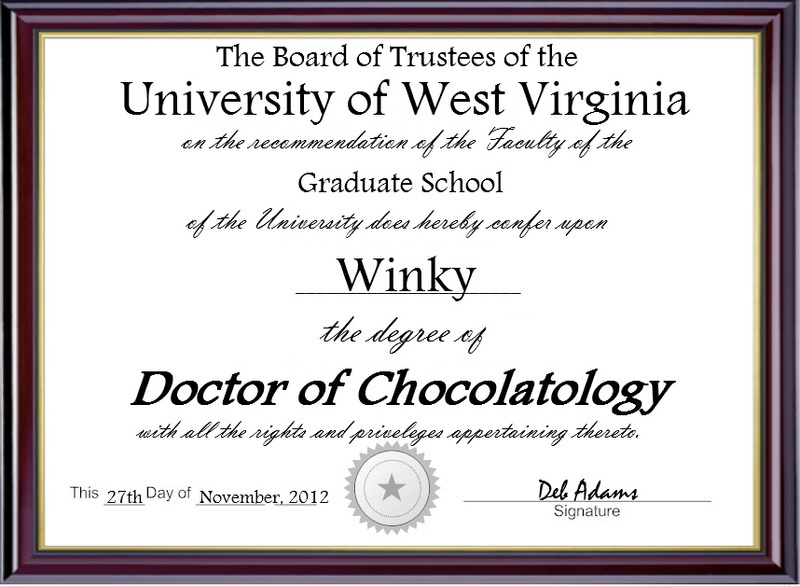 Our friend Debbie Adams was instrumental in inspiring Winky to get his degree in Chocolatology. Winky’s diploma can be seen on Debbie’s art blog. I think you need a prescription for some more chocolate! Of course! And make sure to take it all! I need a new load for the island. Plus Fraz is here so I need even more. How about you get out here too after Easter is over so you can enjoy your chocolate beach house? The truck is all packed and should be on the way soon. A break after Easter sounds good to me! Now you call my cell when your ready and Fraz will send his limo to pick you up to take you to his plane…..we’ll all have a great time! I will! But I’ve got to finish making all my special Easter chocolates first.